Back in the Netherlands we got our first Television together, we bought it begin 2006. 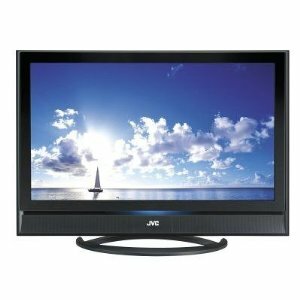 It is a JVC LT-37M60ZU which is a 37″ LCD Television and it is still a very good TV although you could see that over time television got better due to the innovation. In November we start to have some issues with the picture quality of the TV with purple stripes on the monitor which made us decide to look for something new. Since we watch television via satellite we also have a setop-box in our living room. For more information about this see the following post (The TopField box we had in use was not a very stylish and good product. It got warm better to say really hot during operation and sometimes the picture froze and a reboot was necessary. There for it would be a good solution if we could have a television with a so-called DVB-S2 Tuner integrated which could also handle the CA-Module to encrypt the signal. So that limited our choice a bit. For the size we had the limitation that it needed to fit on the TV-Closet which meant that it should not be wider then 125 cm. So with all that information in hand I started watching the possibilities and after the Consumer Electronics Show in January I had my wish list completed. 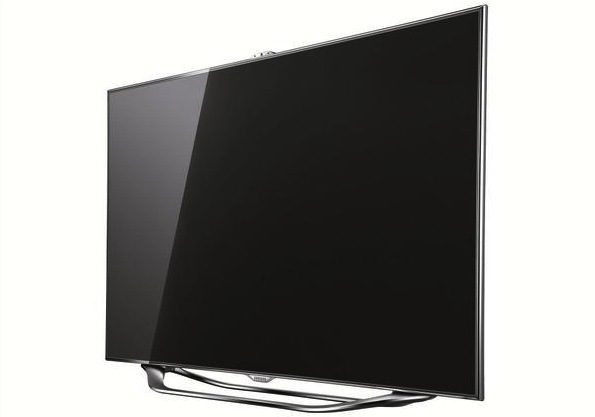 The TV should have integrated Wireless LAN, 46″, LED-TV, DVB-S2 Tuner and important it should fit in our living room. 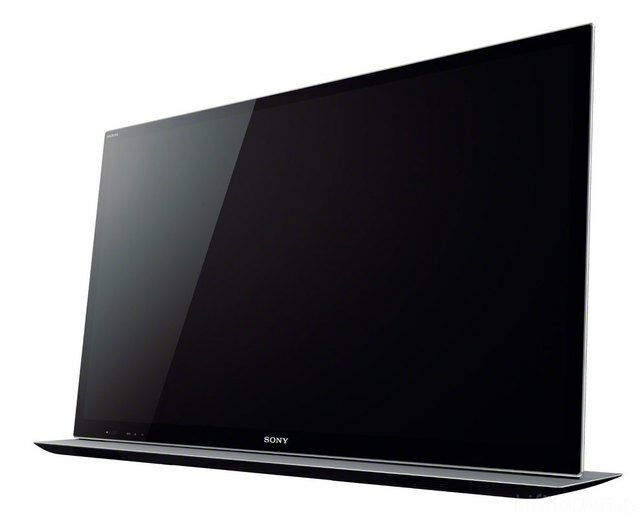 That left over 2 possibilities for us either the Samsung 46ES8090 or the Sony 46HX855. If it was just for the features the Samsung had one this battle but when we both checked out the Samsung in a store it looked cheap and the new ‘stylish’ stand wasn’t as nice as it looked at the pictures. So we decided to wait for the Sony and after reading reviews and seeing more pictures the Sony got our favor but we wanted to see it before we decide. The Sony was officially launched at the 10th of May so we needed to wait. The Saturday after it was out we went to our local MediaMarkt which had one in the box but they didn’t want to show it, too bad for them since I probably would have ordered it right away. 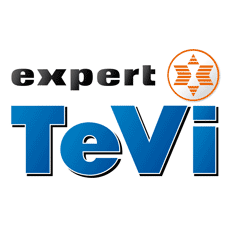 So later that day we decided to visit another MediaMarkt and on our way there we saw a Expert-TeVi which is a smaller electronics shop. We entered the store 2 minutes before closing and we saw, decided and bought the Sony for a great price. After coming home I started to set up the TV and in less than 60 minutes I mounted the sound bar, cabled everything and setup everything. I was surpassed since I thought the satellite programming would take some time. 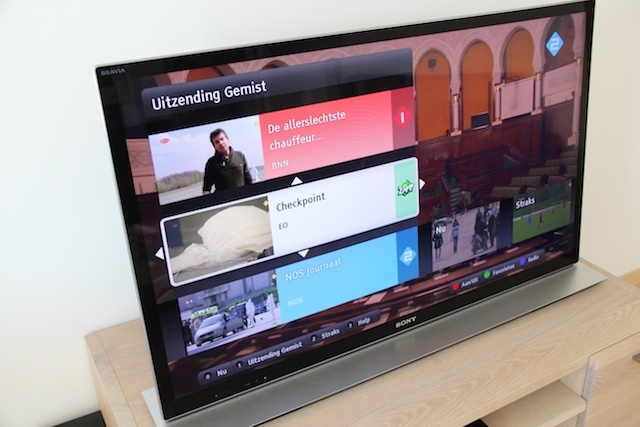 But although it is a German Television it’s possible to set it to the Dutch regional settings which enables the FastScan functionality which CanalDigitaal uses. This sets the channels automagically in the right order. So setting up was easier than I imagined. The days after I’ve played more with the SmartTV options and I know it aren’t the most important things on a TV but it’s just nice to control your TV with your iPhone or iPad, surf on the web and see tweets related to the program you are watching scrolling on your screen. 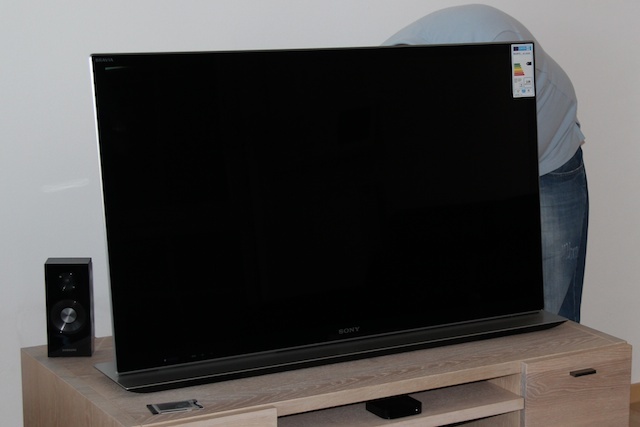 I was also able to reduce from 4 remote controls in the old situation (JVC, Samsung Home-Theather, TopField and AppleTV) to only one (Sony) in this new setup. I always hated the multiple controls but with HDMI-CEC this isn’t necessary anymore. Also I found out that we are able to use HbbTV. HbbTV stands for Hybrid Broadband Broadcast TV and combines a Digital TV connection with a Broadband Internet connections. It enables the use of watching special content and the quality is better than I expected on such a big screen. So far we are both happy with the TV and we already start watching some of our Blu-Ray discs again because the image quality is a couple of times better than that what we had on our former TV. The shift from HD-Ready to FullHD really makes a difference. I hope we can enjoy watching movies on this TV at least as long as we did on the JVC, that’s should be somewhat like 6 years. 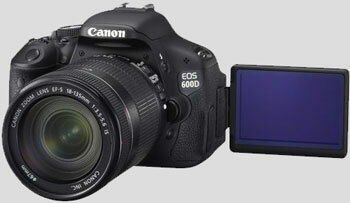 Why the Canon EOS 600D? Two weeks ago we decided to buy a new camera body. And again it’s a Canon EOS dSLR which was the only thing we knew for sure before we started for a new camera. The cameras which I (Sander) looked at where the EOS 600D, 60D and the 7D. 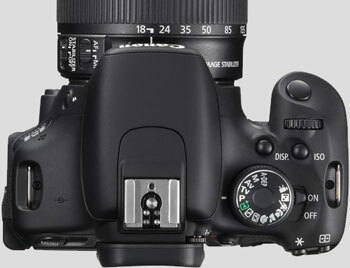 It should be a significant upgrade from our 400D and normally a upgrade would be buying the next expensive model. 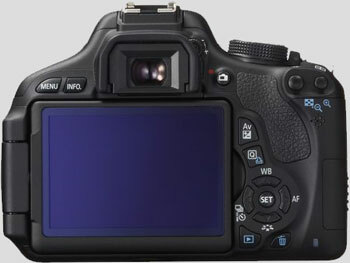 But this time it was different since the 400D is a camera released in 2006 and the 600D is released in 2011. That means 5 years of innovation. The first thing I did was comparing the specifications which are important for us as hobby-photographers. We use the camera for both point and shoot and real photo-shooting during our trips which means that we might look into different features as usual. The things I looked into was the Sensor size, the image processor, the LCD-screen, Auto Focus, ISO sensitivity, the body, video capturing, live-view and the capturing presets. And off course the price for the body in respect to the features and specifications. From the 3 cameras it seemed like it was a real close call between the cameras. Some real nice features like the variangle LCD-Screen, more presets for point and shoot and the lower weight of the body where not present in the 7D. Therefor the 7D seems to be a body which is more suitable for the semi-professional photographer which we are not. Knowing that including the higher price for the body which was about € 1275 (amazon.de) made it a simple choice, the 7D would not be it for us. That left over the two bodies and as can be seen in the comparison below the difference in features and specification between the two are minimalistic. We decided to look at the bodies at electronic stores and we weren’t sure if the handling of the 60D was better due to the bigger size or made it more difficult due to the significant weight difference. So all this made us compare the prices. The EOS 60D was available for a price of €899 (amazon.de) and the EOS 600D for €559. This huge price difference made us choose the 600D instead of the 60D. We haven’t made a lot of pictures with the camera yet but we tried it in difficult light conditions. Compared to our 400D the 600D is much better. We can now make pictures without flash due better sensitivity of the processor. Here you can definitely see what 5 years of innovations can mean for electronics. So far we are really happy with the camera and we can’t wait to take outside for lots of pictures.